A suspected DUI driver is under arrest after a fatal hit-and-run crash early Thursday morning in Bremerton, according to police. 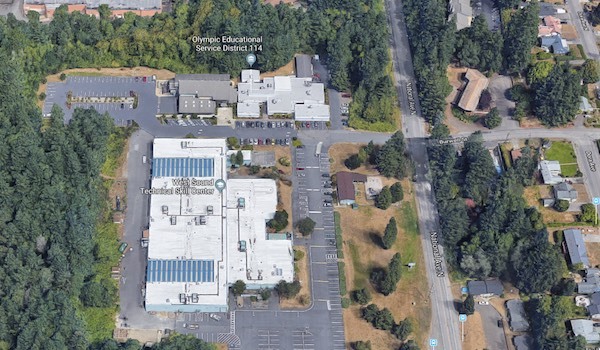 The incident occurred at 1:45 a.m. on National Avenue between Burwell Avenue and First Street near the West Sound Technical Skills Center. Police say the driver was under the influence of drugs or alcohol and speeding when he struck and killed a 26-year-old man. The driver, a man in his 20s, took off after the crash. Police arrested him shortly after. National Avenue was closed for some time, but has since reopened. Further details are not yet available. Unfortunately, DUI crashes continue to escalate in Washington state. The Washington Traffic Safety Commission (WTSC) said between midnight and 6 a.m. are the deadliest hours on the road. Last year 556 people died in DUI crashes on Washington roads. When you look at the statistics, it’s shocking how many of these preventable accidents occur. In fact, about 35 percent of all car accident fatalities across the state involve a person with a blood alcohol level above the legal limit of 0.08. In total, about 43 percent of all traffic accident fatalities involved alcohol in some way. If you are the injured victim of a drunk driving accident, you may not only be owed compensation from the drunk driver who caused you harm, but also from the place or person who served the driver alcohol. Our attorneys at Davis Law Group, P.S., know that you are likely going through a very difficult situation, and want to help. With mounting medical bills and lost wages, we know how much you and your family need the money after one of these accidents. Call (206) 727-4000 to further explore your legal options and find out more about how we may be able to help you get the justice and financial compensation you need.